In Northern Germany from end of 2017, the world's first hydrogen trains will run. 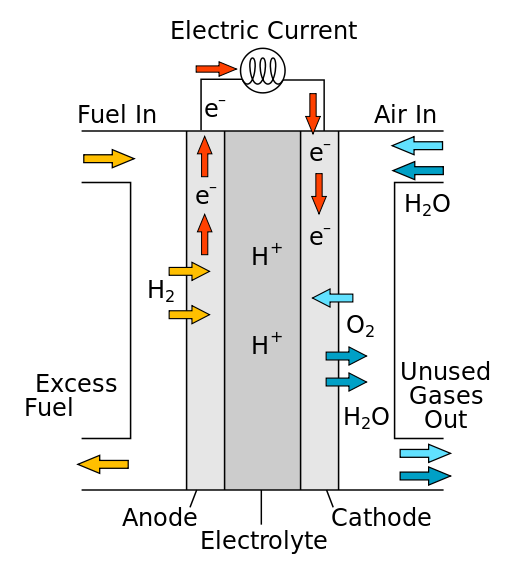 The hydrogen is converted to electricity (and water) by fuel cells, it can be produced by surplus wind energy at times of low demand. The plan is to replace Diesel trains first.